Last time we discovered that we grow well when we pray for others in intercession and in fasting (either Lenten type fasts or more serious disciplines). Fasting in the context of prayer is meant to change the heart of the person who prays, and helps you get more in tune with God’s heart. The next featured way to grow in God is by studying his written Word – the Bible. The Anglican Book of Common Prayer (BCP) and the Book of Alternate Services (BAS) are full of great scripture, so when you decide to begin reading the Bible on your own (or with a group), you will recognize quite a few of these verses. For example, a personal favourite spoken in the order of service, is: Ephesians 3:20: “Glory to God, whose power working in us can do infinitely more than we can ask or imagine. Glory to God from generation to generation, in the Church and in Christ Jesus, for ever and ever.” Of course, the prayer book also includes many historical prayers and creeds that are also scripturally-based. 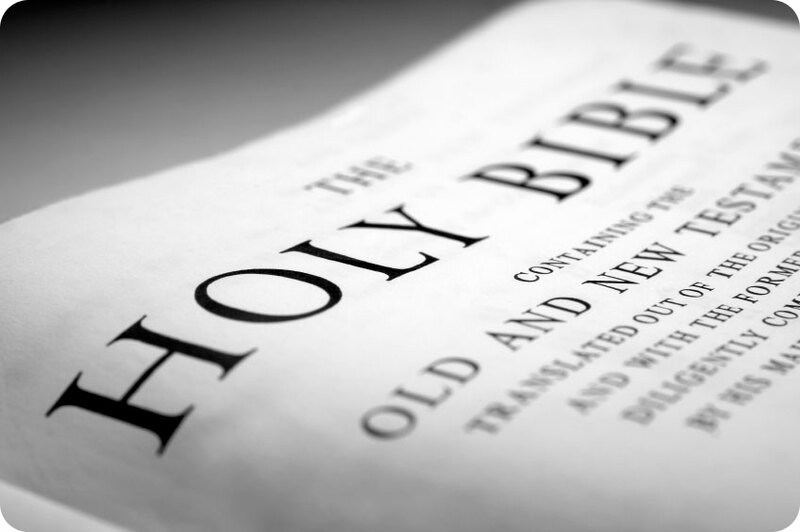 However, it is best to start with the authoritative word of God first – the Bible. The Bible is God’s truth, and it is spiritual food for us. If this journey is new to you, I would suggest that you begin with the New Testament, then the Psalms and Proverbs, and in time the rest of the Old Testament, including the Prophets. As you read each chapter and verse, ask the Holy Spirit to guide you in understanding. Sometimes a verse from the Bible will seem to jump out at you into your heart (the term is called ‘illumination.’) This is meant as encouragement to you. Since the Holy Spirit inspired and filled the human authors to write the different biblical books, He can also inspire YOU. Remember to be regular in Bible reading – even if it is only 15 minutes a day. You wouldn’t want to eat too much of your favourite food at once, right? This is the same thing. We grow through the Bible in a way that roots us into what God says to us, even though the original words were given 1900 – 4000 years ago or so. The Bible has a special quality to it that it speaks to the people of the time in which different books were written as well as to us – sometimes literally, and other times by analogy. We grow through studying the Bible and spending time with the Holy Spirit during our regular devotional time. When we have both, we become spiritually balanced rather than being ‘flaky’ or cold. It often helps to study the Bible in groups, because it is important that you learn what God is doing with others while they are also learning scripture. However, remember that the Bible is an ancient book. God has spoken and still speaks through the Bible, but the cultures from biblical times are different from our own, although, sometimes the circumstances can be parallel to our own lives. Then we can understand and apply what we learn to our own lives. The term for learning the Bible in its original perspective is called exegesis. When I learned some of the history and culture of those times, as well as a bit of their language, it gave even deeper meaning to the scriptures – especially with the stories of Jesus and of the journeys of the Apostle Paul. It helps even more to see these places in person if possible. Applying the scriptures to our daily lives is called hermeneutics. Do we need to understand the original meaning before we can apply a scripture to our lives? No, but it gives us greater understanding and makes the Bible seem even deeper to us since the writers were describing real places. What if you have read the whole Bible from cover to cover? I would definitely encourage you to keep reading your Bible regularly. There are different ways to do this, especially if you’ve read each book ‘as is.’ Perhaps a topical study would be a good start, since often scriptures are linked throughout the Bible. Study Bibles are helpful as are Topical Indexes. Visit your local Christian bookstore, which would have Bible studies that can help you on your Bible-learning journey. Remember, even though scripture can be familiar, or may feel like a comfortable old shoe, it can still speak to you in a deeper way when you need it most. Next time, we will learn of another way to grow in God. Laurie-Ann has returned to Ontario from Nelson BC and is currently in transition, seeking ministry and employment. She volunteers as writer, producer and radio host at CKCU 93.1 FM in Ottawa and attends St Paul’s in Kanata ON.